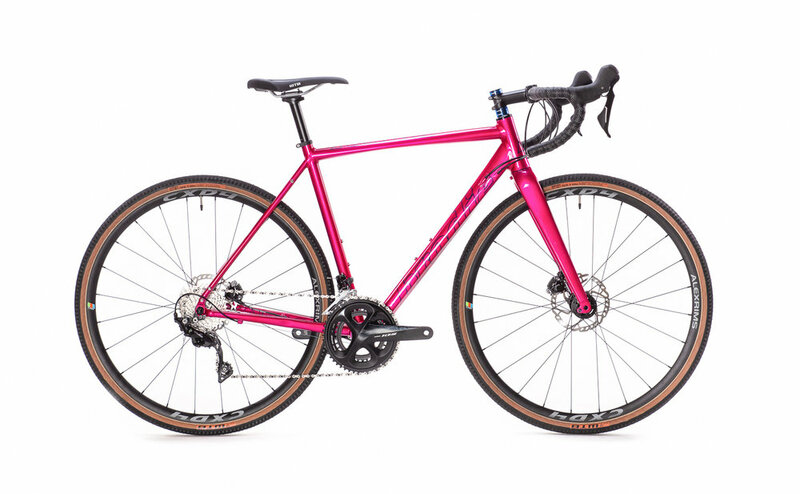 The Romax Ultralight Aluminum frameset with full carbon fork makes our flagship adventure racing and cyclocross bike better and more versatile and covetable than ever before. The Romax Adventure has modern, responsive geometry. Fast enough to race but maintaining long distance, rough surface comfort and stability. The sublime and beautiful Shimano 105 drivetrain with the new Ultegra Clutched rear derailleur, thru axle front and rear, TRP full carbon fork, internal cable routing as well as Di2 ready, the Romax is adaptable, fast and ready for anything. Romax comes in 5 sizes including the new 46cm XXS size for a precise fit, small or tall, male or female. Who is the Romax Adventure for ? 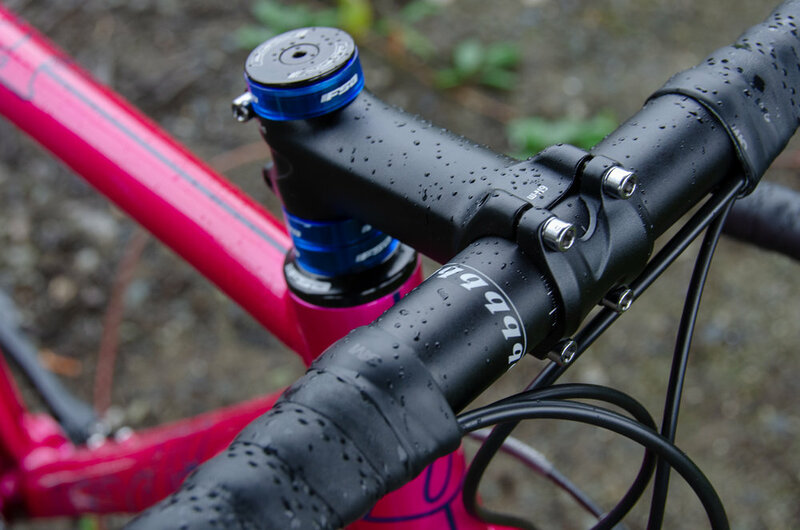 Perfect for performance gravel races, cyclocross races, winter training, road riding, gravel routing and adventure. The Romax Adventure is the ultimate, high performance do anything, go anywhere adventure race bike. The Romax Adventure is for the person who's looking to step it up a notch. Racing 'cross in the fall, doing big adventure rides in the spring. Or even for those hunting personal bests on the long way home from work. The Romax Adventure is for performance seeking adventurers who love smooth fast road rides, long gravel rides or dirt track touring and everything in between. 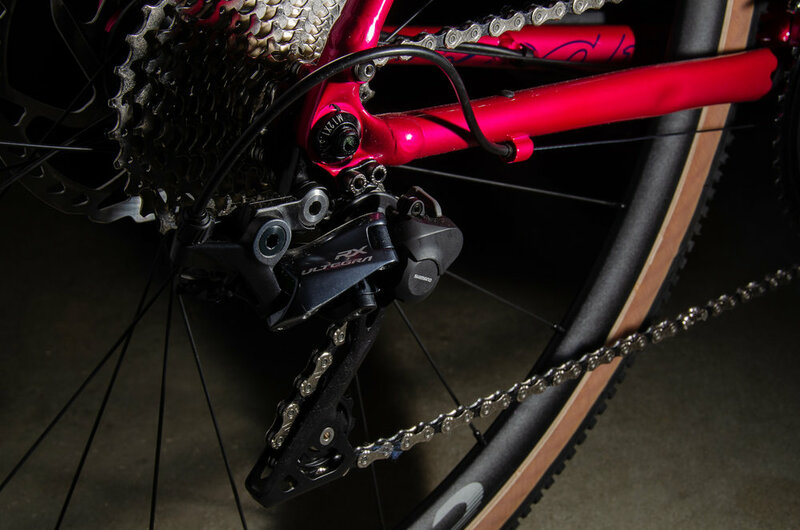 Shimano 2X11 drivetrain provides security knowing your drivetrain will perform at its best without compromise and ease of maintenance and serviceability. 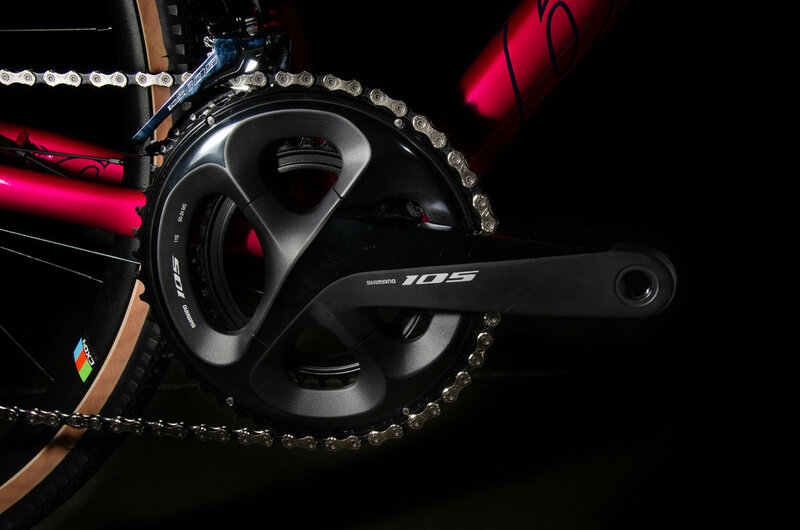 The Shimano 105 compact 50/34T crankset paired with a an 11-32 tooth 11 speed cassette gives you an evenly spaced full range of gearing for fast road rides or to tackle any hill and any terrain. Shimano 105 shifters / brake levers are precise and powerful yet have all day comfort on the hoods and offer light precise control. 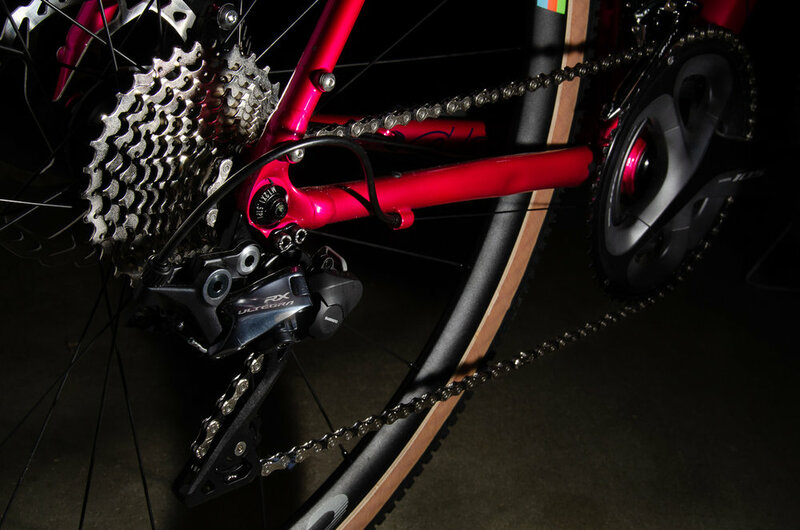 The New race ready Ultegra RX clutched rear derailleur keeps your chain secure and quiet, reducing shifting effort and chain slap. Matching Shimano 105 Hydraulic brakes provide powerful yet controlled stopping power in any condition and any road surface. For the person - who's looking to step it up a notch. Racing 'cross in the fall, doing big adventure rides in the spring. Hunting PB's on the long way home from work. For the person who wants to do almost anything with their bike. Race some 'Cross, go touring, commute, explore on pavement or path, do a gravel fondo, or join the Sunday morning club ride. Fender it up for winter training rides - sound like you? The Romax Adventure is for performance seeking adventurers who love smooth fast road rides, long gravel rides or dirt track touring. WTB Devo Saddle with Cromo Rails is light, comfortable. 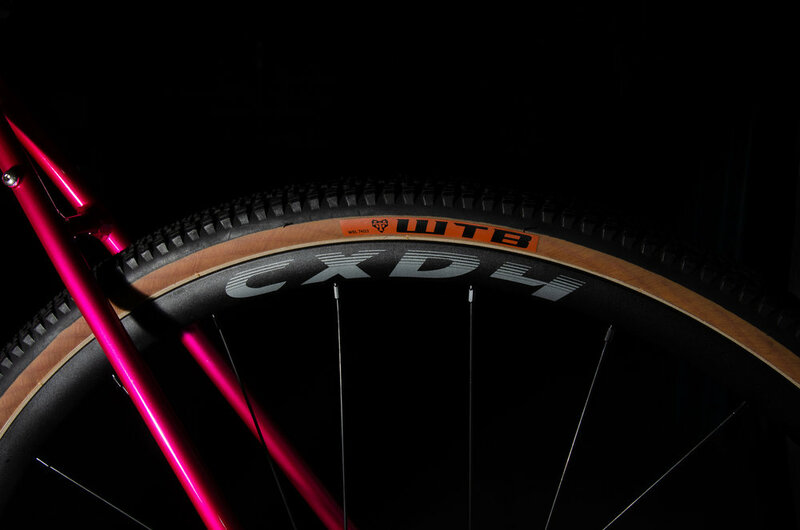 WTB Riddler 700 x 37 tires are fast rolling are geared towards adventure riding and are grippy and comfortable. Mounted on an Alex A-Class CXD-4 lightweight Wheelset you are ready to race or just explore anywhere on any terrain.